Chortopia isn’t your typical chore tracking app for kids. This app makes chore time much more entertaining and engaging by turning it into a fun adventure. 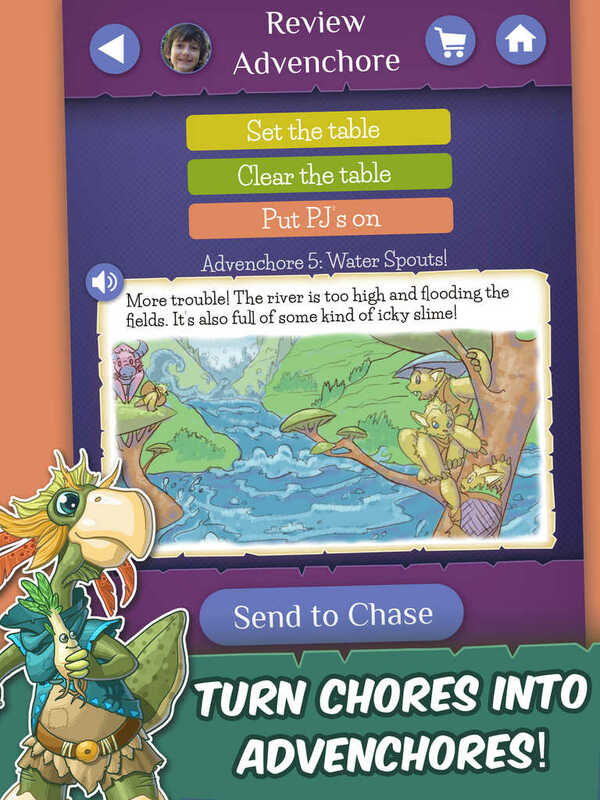 Chortopia uses a combination of narrated story-telling, games, and adventure to create a chore app that makes doing chores fun for kids! Simply put, it’s every parent’s dream! 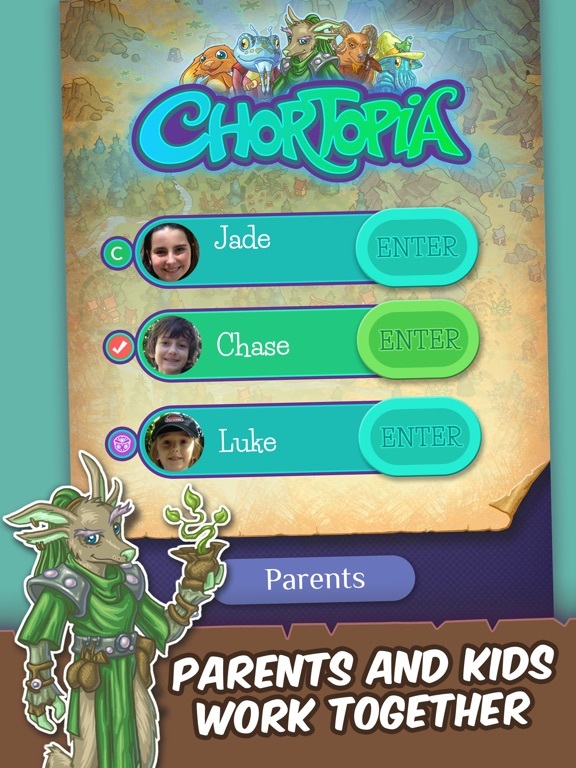 The developers have done an excellent job making Chortopia engaging, entertaining, and practical to use. 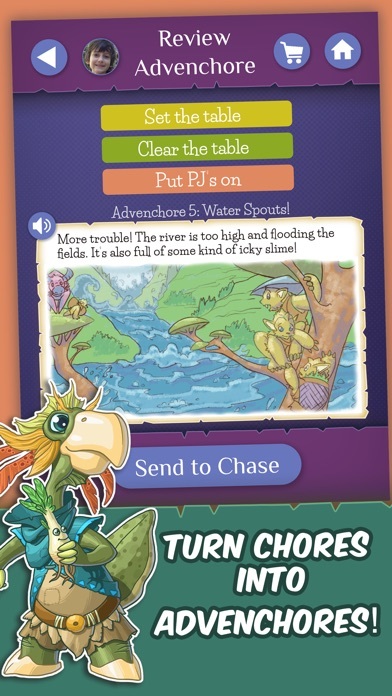 They have taken an easy to use chore tracking app and turned it into a full-blown adventure with rewards, games, and narrated story lines. 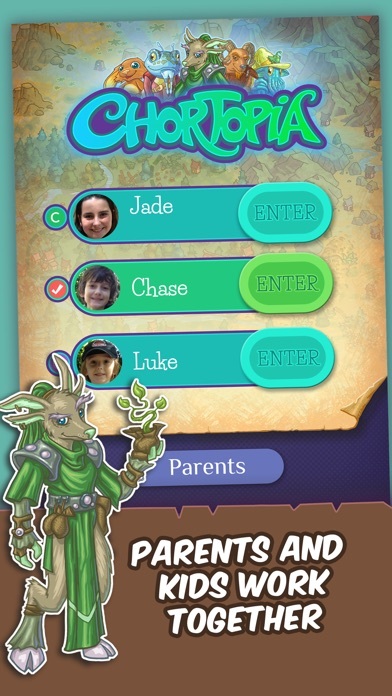 This creative app also has the ability for parents to set up, up to 4 child profiles and select up to 3 chores to complete for each advenchore. The developers have also used high quality graphics and narration throughout making this app even more appealing for both parents and children. The main concept behind this app is to teach children responsibility and helping in a fun way. While parents can set up specific tasks for children to complete, the players are responsible for completing each task and checking it off on their list for their parent to confirm. The idea is for children to complete their chores in order to move forward on their advenchores and to move forward with the story. With a bit of practice, this app has the ability to get kids excited about helping out and doing their part at home by watering plants, taking out the garbage, using their manners etc. The entertainment value in this app is unlike anything I have seen in a chore app. 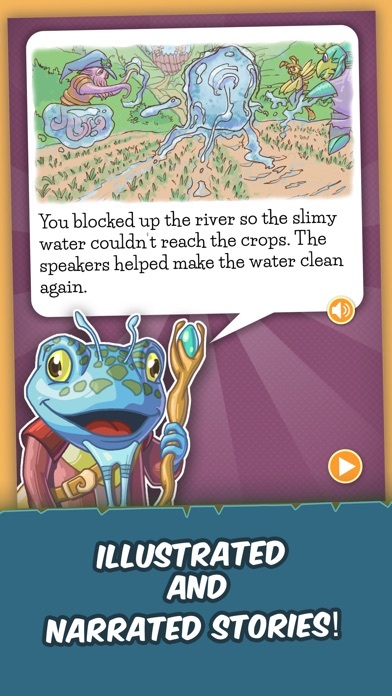 The developers have created an engaging and exciting concept that makes each chore an adventure for kids. 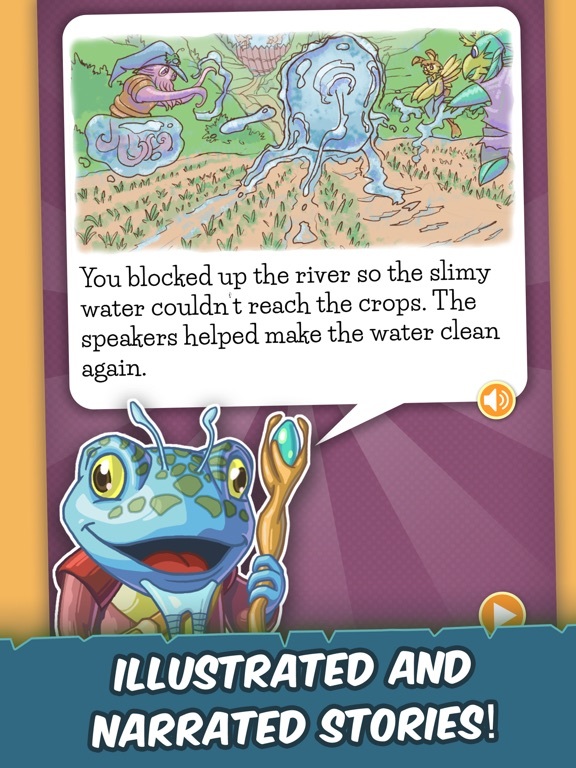 Each chore is weaved into a fun story for kids to follow along with as they complete more tasks. They also have the opportunity to earn and collect playing cards that they can use to play the card game that is also included in the app. 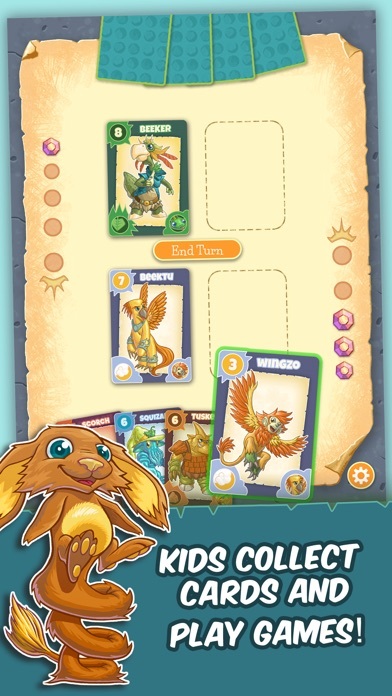 Games, adventure and stories too, this app is highly entertaining. Priced at just under four dollars this app might be a bit more than parents are used to paying, but the value you receive is incredible. The concept itself is highly creative, engaging, and educational for kids. As a parent, this app is totally worth the cost if it gets kids excited about helping around the house. In addition to being easy to use for both parents and children it is completely safe too! 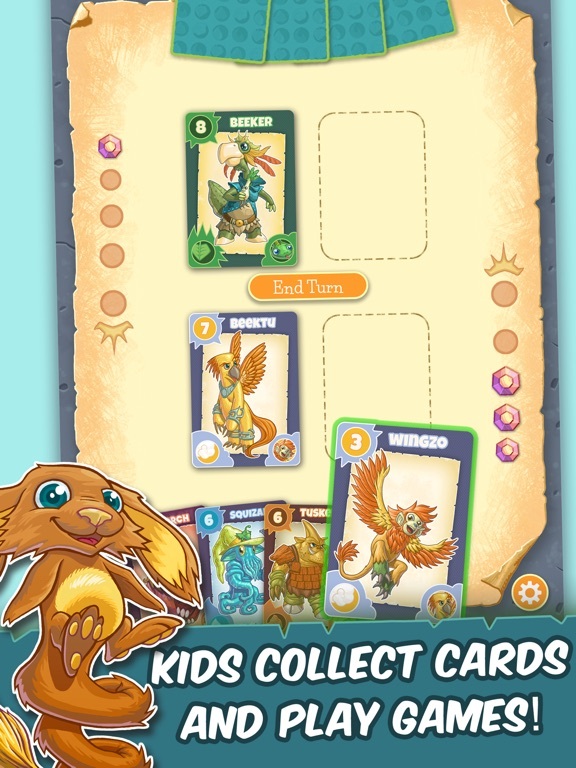 With no advertisements, in-app purchases, or social media links, this app is great for children of all ages to play and use. This app is especially useful for families with multiple children as it offers up to four profiles.